As governments become increasingly interested in developing innovation strategies, the idea of setting up innovation units, innovation teams, or innovation labs has become increasingly popular. Innovation units seem to be particularly capable of creating their internal “culture of innovation” within the lager environment of their organization. This means, for example, having a staff that is more willing to take some risks and is more willing to adapt new ways of organizing their work than the “regular” staff. This team has the benefit of being able to take on innovation as a main task, whereas other people in the “regular” policy areas would see it as an additional task. For them, innovation then becomes an additional burden on an already full schedule. 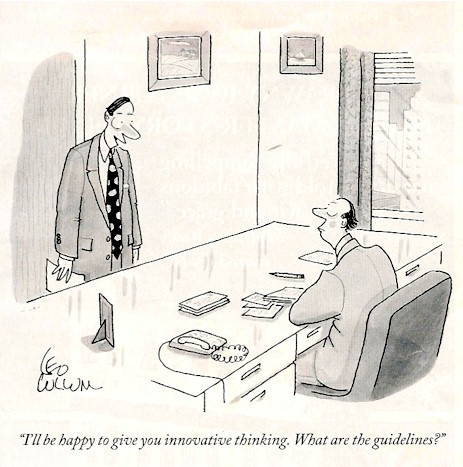 Several of the people we interviewed believe that innovation is only a trend in public management and they are not willing to drop important tasks in order to “invest efforts in becoming more innovative.” Fair point. This “regular” staff report that not only do they not identify with the innovation task, but that they are often busy enough with their ongoing work (especially in times of austerity limiting new hires) and cannot dedicate more time to innovation projects. The innovation unit, on the other hand, does have the time and motivation to do so. The innovation units also appear to grant the innovation efforts some legitimacy within the administration, and most importantly, it brings a stream of appropriated funds specifically earmarked for innovation projects. This indicates political support. The appointed “directors of innovation” are seen as having authority and some financial autonomy, and are thus able to champion projects and initiatives that might otherwise be dismissed without a leader to steer them through the administrative process. Finally, innovation units simply seem like a practical solution to the problem of creating new innovation capacity in the public administration. When compared to approaches such as improving collaboration or gradually introducing a discourse of innovation into the administration, creating innovation units is a relatively quick fix since it achieves the goal of focusing on innovation now and deferring to the future the challenging long-term task of changing the larger administrative culture to become more innovative. Image source: Leo Cullum. October 24, 2005. The New Yorker. For all these advantages, innovation units also have some drawbacks. I will cover these in the next post. In the meantime, I would like to hear from you. What is your opinion about the benefits and disadvantages of innovation units in government? This post is based on a conference paper presented at the EGPA annual conference 2015 and co-authored with Mila Gascó (ESADE Business School).